Christmas is a wonderful time of year – but not for your finances. The festive season is notoriously hard on personal budgets and post-Christmas credit card debt is a sad fact of life for many Australians. Stick a money-managing app on your phone that tracks every dollar you spend on Christmas-related items: everything from wrapping paper and eggnog to mangoes and petrol for those endless shopping trips. You can’t stick to a budget if you don’t know where all the money that’s magically disappearing out of your wallet is going. You can use also use our saving goal calculator to plan your budget & savings. The Easter sales aren’t too early to start thinking about picking up a few Christmas gifts. Starting your shopping earlier in the year means you can fit in more research, access more online bargains and not have to do the last-minute rush in late December. Make it your mission to not pay full price for a single one of your gifts this year – buy everything on sale. Instead of jetting off to Singapore or having an expensive snowy Christmas in Canada, plan a closer-to-home holiday that’ll save you loads of money but still be fun. Camping by the ocean or a nice lake in summer can be brilliant, and if you’ve already got a tent and most of the necessary camping gear, it’ll just cost you a bit of petrol and camping fees. Be aware that camping spots fill up rapidly at Christmas-time, so book well in advance so you don’t miss out. The ‘silly season’ is a time for parties, and the urge to go out and experiment with wild and exotic new beverages can be hard to resist. You’ll save loads of cash by sticking to beer and wine, however. Those elaborate mixed drinks and obscure liqueur concoctions can burn a hole in your nightly budget faster than you can say “shaken, not stirred”. Make some of this year’s gifts instead of buying them. If you have the barest minimum of craft skills, cooking ability or artistic flair, see if you can create some presents for those you love. 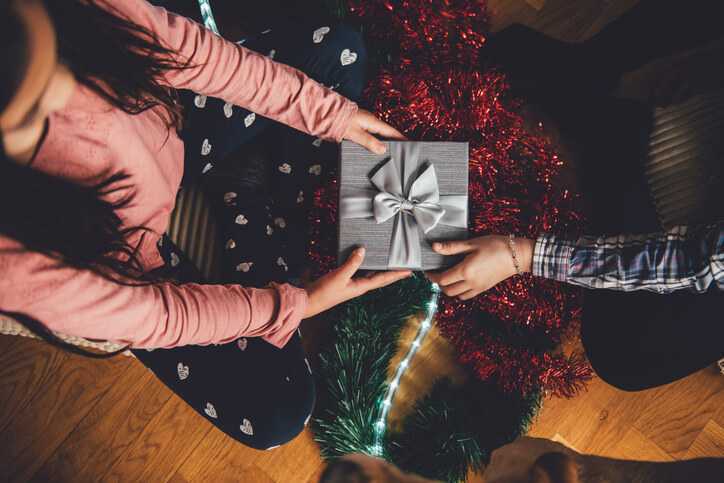 Biscuits, decorative fruit baskets, homemade candles, handmade jewellery and other creative gifts will cost you more in time but less in cash – and the recipients will adore them. This one’s a real trap: in the course of looking for the perfect gift for others, you find the perfect gift for yourself. Resist the urge to treat yourself – there’s a good chance the item will still be available in the New Year when your finances are better able to handle the purchase. Are you the one who ends up spending a fortune on food and preparing a big feast each year? Try to come up with an alternative plan this Christmas. See if one of your relatives would like to take over culinary responsibilities this time. This sounds impossible but it’s actually quite easy. One way is to agree with all your other relatives to buy presents for kids only this year – none for adults. Take advantage of sales and coupons. Do some of your shopping at second-hand stores. Place a reasonable limit on how much you’ll spend on each recipient, and stick to it. Many stores will ‘price match’ at Christmas, so use that to your benefit. Buy less of everything for everyone. Christmas wrapping paper often gets so destroyed that recycling is impractical, but where possible, aim to re-use as much of the paper, ribbons, bows, gift cards and wine bottle gift bags as you can. The more you can hang on to, the less you’ll have to buy next year.